You have the right to request to inspect your own personal data. If there is reason to do so, you may also request us to supplement your personal data or to correct inaccuracies. You also have the right to request that your personal data be deleted or that the use of your personal data be limited. You can also submit an objection to the collection and use of your personal data to us or submit a complaint to the Dutch Data Protection Authority. And finally, you have the right to request to obtain your personal data or that they are transferred to another party. In order to be able to exercise your rights, you can apply to: Aalderink Poedercoaten en KTL B.V., Afdeling Financiële administratie, Garstweg 10, 7676 ST Westerhaar. 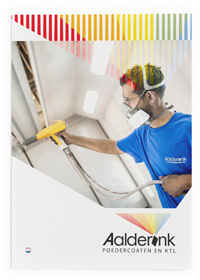 Telefoonnummer 0546-659125, e-mailadres: privacy@aalderink-coating.nl. Naturally you can contact us if you have questions or require further data concerning the collection and use of your personal data.